The tcvis-02 viewset is based on traces of the Siemens Teamcenter Visualization Mockup application (also known as VisMockup) used for visual simulation. 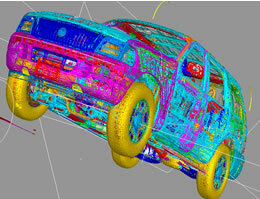 Models range from 10- to 22-million vertices and incorporate vertex arrays and fixed-function lighting. 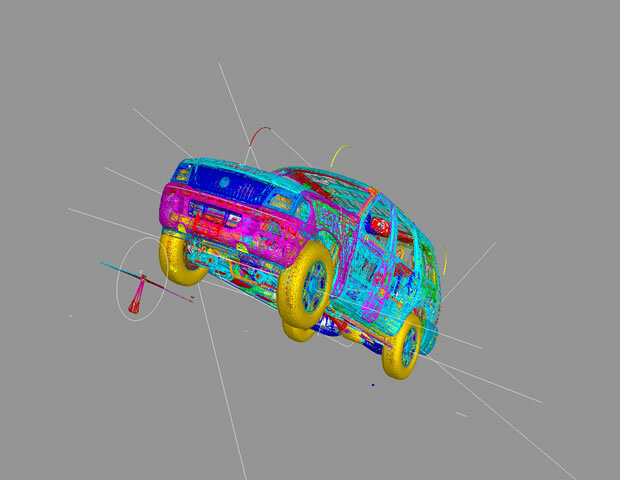 State changes such as those executed by the application -- including matrix, material, light and line-stipple changes -- are included throughout the rendering of the model. All state changes are derived from a trace of the running application.